Domestic violence can include many types of abusive behavior such as physical, verbal, psychological, emotional, property, economic, or sexual abuse. Abuse always includes various types of controlling behavior that often result in a relationship defined by power and control. Controlling behaviors can include intimidation, manipulation, giving orders, a constant need to be right, micro-managing, as well as passive aggressive behaviors like withdrawal, shutting down, and dismissive comments. 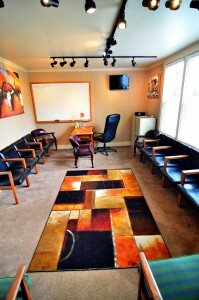 A Better Way Counseling is a Washington State Certified Domestic Violence Perpetrator Treatment Agency. We provide Domestic Violence Perpetrator Treatment (DV) for men and women who are court ordered to be in DV treatment. Our DV Treatment program follows the guidelines outlined in the WAC 110-60A that defines how DV treatment is done in Washington state. Voluntary individuals that want to enter the DV program may do so and must follow the same guidelines. All DV treatment starts with an intake session before entering group. Our DV Treatment program helps men and women learn and practice non violent methods of dealing with conflict in relationships. Our philosophy is that we cannot teach respect by being disrespectful. Our Anger Management/Domestic Violence groups are designed to teach non violence, accountability, conflict resolution, boundary setting, assertiveness instead of aggression, and a variety of other concepts related to being less controlling and abusive. We believe that respect is essential to model as well as teach these concepts. Domestic violence treatment, as directed by state law, is primarily done in a group setting. In rare cases, individual counseling may serve as part of domestic violence treatment. Couple’s counseling is never offered as part of domestic violence treatment because it has proven to be the most dangerous form of treatment for abusive relationships. If you need to complete a Domestic Violence Assessment, please fill out this Domestic Violence pre-assessment form completely before coming to your assessment appointment with a therapist. Make sure you click on the submit button at the end of the last page. Doing this form here requires less time with a clinician thus saving you money. If you do not complete this form before coming to your appointment you will be required to complete it at the agency with a representative for an additional fee of $75.00. Thank you for your understanding and cooperation. Click here for the pre-assessment.